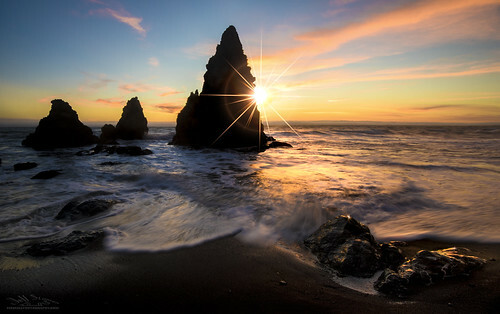 Rodeo Beach is less than 10 miles from San Francisco but when you stand there at sunset it seems like you are worlds away. I had dreamed of photographing here for years but didn't get a chance until recently. When I showed up, there was an Aperture Academy workshop already set up with a couple dozen students filling the crowded area behind the sea stacks. I managed to squeeze off some shots thru the forest of tripod legs. Fortunately, I was blessed with a glorious sunset which more than compensated for the crowds!